Call us today! 818-761-1662 today. Dr. Terry Rich's Chiropractic Clinic uses a very unique combination of a hands on massage with your chiropractic adjustments to get superior results. We offer either a 20 minute on the clothes massage or a full hour Swedish or Deep Tissue massage to relax your muscles before a very comprehensive adjustment. We specialize not only in neck and back pain but also in athletic injuries and injuries due to auto accidents. We consistently fix world class athletes and executives as well as dancers, actors, movie/tv/commercial employees and everyone in between. 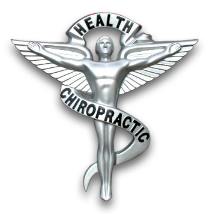 Dr. Terry Rich is one of the most established and well known chiropractors in the North Hollywood, Toluca Lake, Studio City and Burbank areas, specializing in chiropractic care, massage therapy and wellness. Dr. Terry Rich and Dr. Linda Lacefield are chiropractors committed to providing pain relief for many symptoms and conditions so that you can have a higher quality of life. Don't just take our word for it though; visit our testimonials page, our Google Reviews and our Yelp page to see what our patients have to say. At our office you will receive the best care through the use of modern chiropractic techniques and technology. Dr. Terry Rich and his staff have a genuine concern for your well-being and health! Call us today and we can develop a chiropractic plan specific for you. To receive free wellness and health articles subscribe to our bi-weekly newsletter. If you are already a newsletter subscriber, please explore the member wellness section of our website for animated exercise videos, wellness articles, chiropractic resources, and health facts specifically targeted to your wellness needs and interests by Dr. Terry Rich.